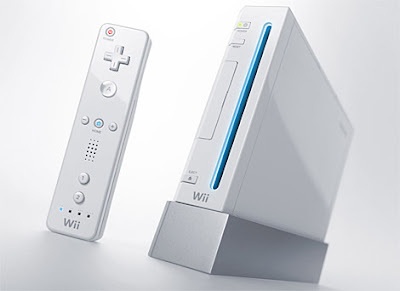 NintenGen: Wii really capable of High Def gaming? Wii really capable of High Def gaming? "IT IS AMAZING WHAT you can get out of a drunk Nintendo executive. Who would have thought Nintendo knows anything about CPUs and GPUs? The bit I got the other day was that the Wii GPU has full hi-def capabilities even if they are not exposed. The reason you don't see it is twofold, the fact that the console can't really push HD rez at reasonable frame rates and the fact that it would cost more. The latter will probably become a moot point with the first Wii refresh but the former problem is really here to stay. What it comes down to is that the Wii may be the best console out there, but don't look for 1920 * 1080 games pushing full rez. If anything, SD or maybe widescreen upscaled is about all you will see, but for me, I just want HDMI outs." This doesn't surprise me that much seeing that the original Xbox could do 720p resolution. Could a more simple game like Wii Sports 2 be a 720p Wii game? We'll see. According to several analyzes, the Wii is capable of high-def graphics. It's just that Nintendo just chose not to do it, and after seeing Super Mario Galaxy and Metroid Prime 3: Corruption, I don't think they really need it until high-definition becomes a standard. I agree. If the xbox could do it, the Wii could do it. But if the frame rates not up to snuff then its not a good idea and if it raises the price of both the hardware and the development of games, it's not a good idea, at least taking into account the HD penetration rate.